Thinking about getting your feet wet in the art of cosplaying? Contrary to what some might believe, you can transform into your favorite character with little more than a great accessory and your imagination. 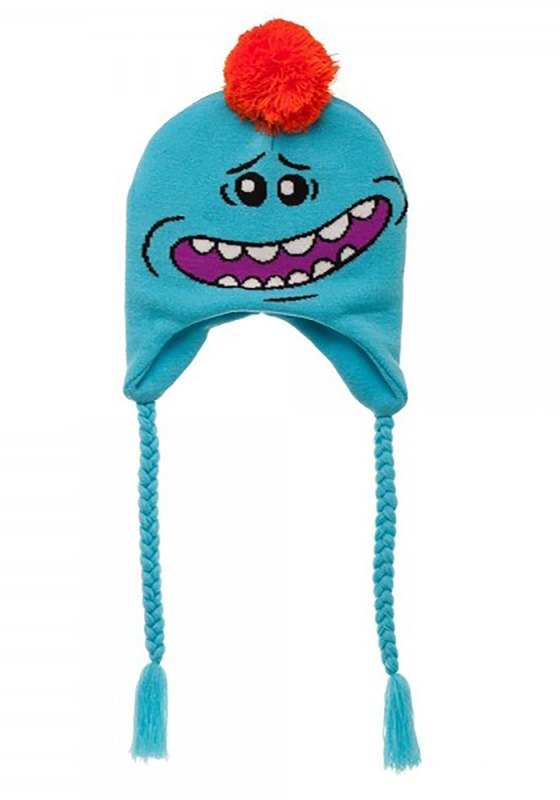 This Mr. Meeseeks hat, for instance, makes your noggin look like the iconic character from Rick and Morty. All you need to do, is toss it on your head, grab your best light blue shirt and voila! Instant cosplay outfit, baby! If you really want to take it to the next level, you can add some blue makeup and start shouting the phrase, "I'm Mr. Meeseeks, look at me!" This Mr. Meeseeks Laplander has it a cozy way to cosplay as your favorite character from Rick and Morty. It’s made out of acrylic and it stretches to fit. Tassels hang down on each side for your enjoyment, but the top of the hat truly is the best part. It has Mr. Meeseeks smiling face near the front and little red puff pom on the top. Really, the best part about this hat is the fact that you can use it for more than just cosplay purposes. When it gets a little chilly out, you can wear this hat on your head and proudly proclaim your love of Rick and Morty as you defy the cold breezes of winter!